That is why I believe our justice movements desperately need science fiction. Stay with me on this one. I am the co-editor, along with visionary movement strategist adrienne maree brown, of the anthology Octavia’s Brood: Science Fiction Stories from Social Justice Movements, which comes out this spring from AK Press. 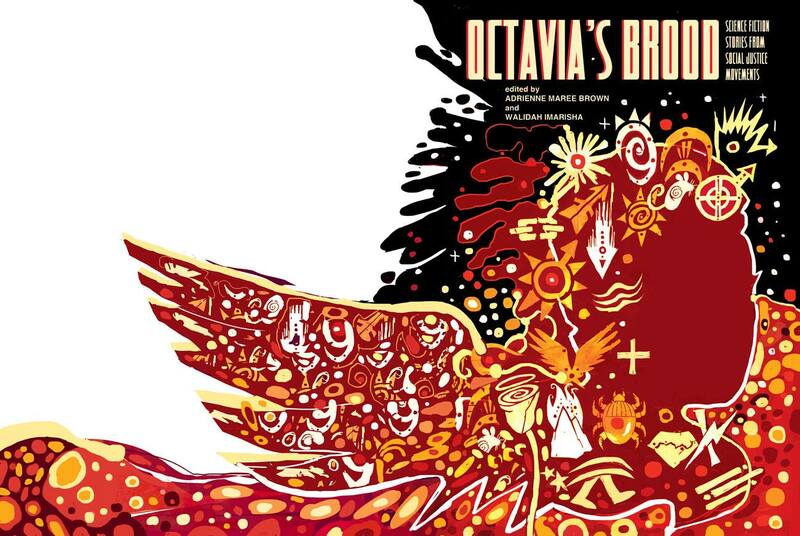 Octavia’s Brood, named in honor of Black feminist sci-fi writer and MacArthur “Genius” grant winner Octavia Butler, is a collection of radical science fiction written by organizers, change makers, and visionaries. This is precisely why we need science fiction: It allows us to imagine possibilities outside of what exists today. The only way we know we can challenge the divine right of kings is by being able to imagine a world where kings no longer rule us — or do not even exist. Visionary fiction offers social justice movements a process to explore creating those new worlds (although not a solution—that’s where sustained mass community organizing comes in). I came up with the term “visionary fiction” to encompass the fantastical cross-genre creations that help us bring about those new worlds. This term reminds us to be utterly unrealistic in our organizing, because it is only through imagining the so-called impossible that we can begin to concretely build it. When we free our imaginations, we question everything. We recognize none of this is fixed, everything is stardust, and we have the strength to cast it however we will. To paraphrase Arundhati Roy, other worlds are not only possible, but are on their way — and we can already hear them breathing. That is why decolonization of the imagination is the most dangerous and subversive decolonization process of all. My co-editor adrienne calls science fiction “an exploring ground,” a laboratory to try new tactics, strategies, and visions without real-world costs. Folks affiliated with Octavia’s Brood have been doing this concretely: the Octavia Butler emergent strategy sessions that adrienne maree brown has facilitated internationally (The Octavia Butler Strategic Reader is based on that work); collective visionary-justice writing workshops; science fiction and direct organizing–tactics workshops created by contributor Morrigan Phillips. Numerous stories in Octavia’s Brood explore the idea of what justice looks like after harm occurs. In Kalamu ya Salaam’s piece, an excerpt from a longer unpublished novel, Manhunters, a female warrior has killed the sister of a community member in an alternative Afrocentric society, and the council convenes to decide what will happen to her. The framework is not one of retribution and punishment, but of healing for the individuals and the entire community. In Autumn Brown’s story “Small and Bright,” as punishment for an unforgivable crime, a member of an underground postapocalyptic society is “surfaced” — forced into exile on the barren surface of the devastated Earth. Banishment from a community is something many folks working on community accountability grapple with as a concept. adrienne maree brown’s piece “The River,” one of the Detroit-based science fiction pieces she was awarded a Kresge Fellowship to create, explores what justice looks like for crimes the current criminal justice system does not even acknowledge as criminal — gentrification, displacement, economic devastation, generational institutionalized oppression. Exploration of justice and prisons did not start with Octavia’s Brood. W.E.B. 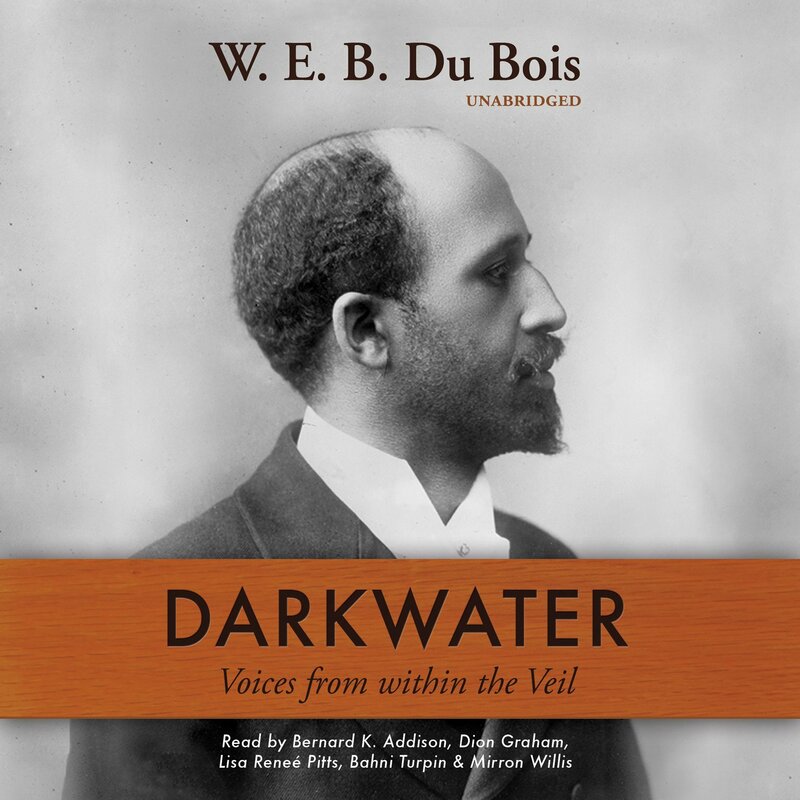 DuBois explored race, prisons, justice, and redemption in fantastical short stories like “Jesus Christ in Texas” from his 1920 collection Darkwater: Voices from Within the Veil. 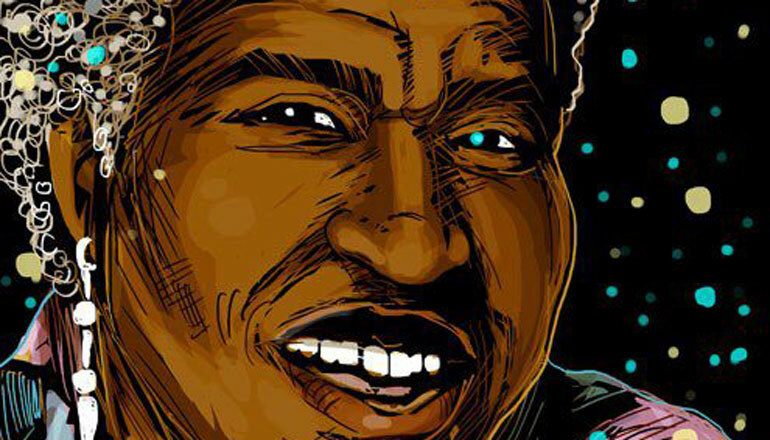 Octavia Butler, especially her works Parable of the Sower and Parable of the Talents, continued this exploration, as did numerous other works: Ursula K. Le Guin’s The Dispossessed (1974), Marge Piercy’s Woman on the Edge of Time (1975), Starhawk’s The Fifth Sacred Thing (1994), Nalo Hopkinson’s Midnight Robber (2000), and Nnedi Okorafor’s Who Fears Death? (2010). A syllabus of these works can be found in The Transformative Justice Science Fiction Reader, which was created at the 2012 Allied Media Conference. This revolutionary reader explains how visionary fiction centers those who have been marginalized in larger society, especially those who live at the intersections of identities and oppressions. This fundamentally feminist framework is perhaps best epitomized in Butler’s work. The majority of her main characters are women or trans folks of color, and when those characters move to the center of society, we see visionary communities emerge. The contributors of Octavia’s Brood, and the visionaries who came before them, demand that we see those who have been marginalized not as victims but as leaders and recognize that their ability to live outside acceptable systems is essential to creating new, just worlds. When we do this, we find not piecemeal reform but total liberation, and science fiction is the only genre that allows us to question, challenge, and re-envision everything all at once. We know we are not fighting a single-issue oppression system — we are fighting a white supremacist hetero-patriarchal capitalist system (word up to bell hooks) — so our response must be holistic and all-encompassing. As Audre Lorde said, “There is no thing as a single-issue struggle because we do not live single-issue lives.” We must re-imagine from the ground up. “Hollow,” by Mia Mingus, is a story in Octavia’s Brood that allows us to re-imagine disability justice. In a future where the “Perfects” have attempted genocide against folks with disabilities (the “Unperfects”), the Unperfects now live on a moon, where the Perfects imagined they would all die. Instead, the Unperfects have built an entire society that centers their needs, rather than trying to assimilate themselves into systems never intended for them. This story challenges us to move beyond equality, and even justice, and instead think about what liberation and autonomy look like. Leah Lakshmi Piepzna-Samarasinha’s story “Children Who Fly” does this for survivors of trauma and sexual assault and their children. It is their ability to “dissociate” (which many today talk about as a negative side effect of trauma), to leave their bodies and join their healing energies together, that is the only force that can save a devastated world. These transformational shifts in how we conceive of justice challenge the politics of respectability (really the politics of assimilation). 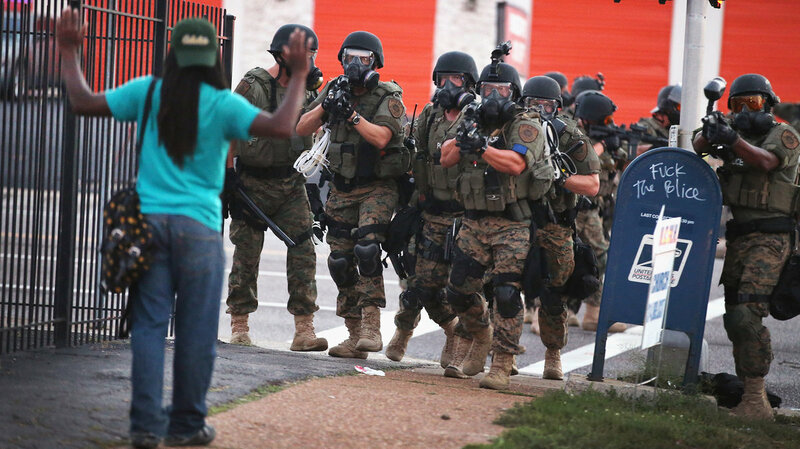 This challenge is viscerally relevant at this moment, as Black youth in Ferguson, Missouri, rebel against bullets and tanks and the system that wields them. We’ve learned that assuming the trappings of a larger, unjust system and integrating into a society rooted in oppression will never protect those who are marginalized and oppressed. It is simply a continuation of the colonial framework and mind-set. This mind-set offers slight reforms to the system — body cameras, diversity training for police, citizens’ review boards — but they are all grafted onto the existing system. This politics of respectability is the main barrier that keeps us from imagining a world without police, without prisons. The horrific murder of Michael Brown, an unarmed Black teenager, by police officer Darren Wilson in Ferguson, Missouri, was the flashpoint for national resistance against ongoing police violence and the devaluation of Black life. Astoundingly, mainstream media referred to these acts of resistance as “riots” instead of as the uprisings and rebellions they were, as did so-called white allies, who attempted to dictate the terms on which Black youth resistance could happen. Luckily, Black youth weren’t having any of it; they also rejected respectability politics and the myth of assimilation. Instead, they joined together with other oppressed peoples internationally in a continuing movement for liberation that fundamentally transformed the entire globe. My co-editor adrienne and I, as two Black women sci-fi scholars, carry this in our hearts always, because we know that we are living science fiction. We are the dreams of enslaved Black folks, who were told it was “unrealistic” to imagine a day when they were not called property. Those Black people refused to confine their dreams to realism, and instead they dreamed us up. Then they bent reality, reshaped the world, to create us. This is part of the reason I carry the title “prison abolitionist” proudly; it ties me to the visionary liberators who abolished slavery. It connects my dreams of liberation with those of my ancestors and lights all of our responsibility and right to dream new futures into being as they did. but there are new suns. The science fiction — or speculative fiction, fantasy, horror, magical realism, etc. — we humans create doesn’t appear out of the ether. 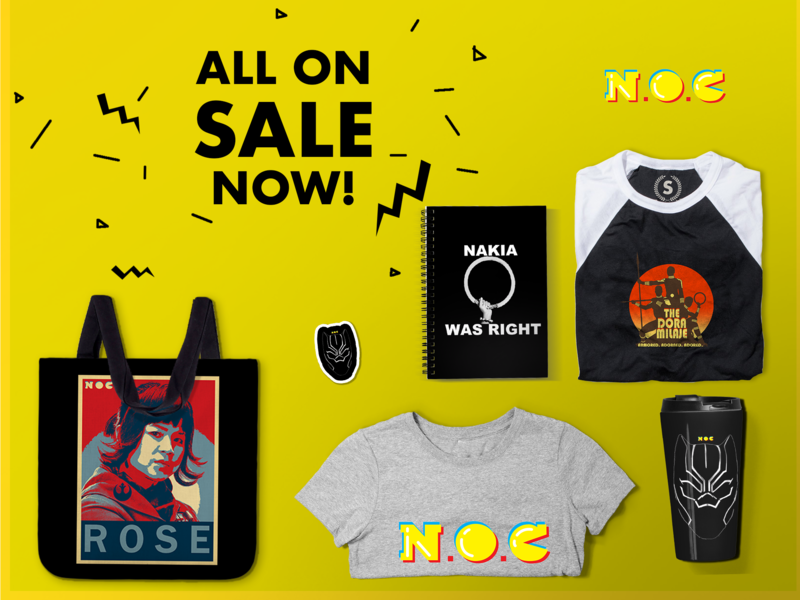 Whether it’s Hunger Games, Harry Potter, or Star Wars, these fantastical worlds end up exploring issues like war, racism, gender oppression, power, privilege, and injustice. There is nothing new under the sun. But as Butler so deftly tells and shows us in her novels, these new suns offer us infinite new opportunities to re-envision our current world. Friends! I’m trying to help my local high school’s STEM program start a Free Little Library. The school sends a mere 30% or so on to college. It’s also an incredibly diverse student population. I’ve been looking for books for high school students that are science non-fic and fiction, novels and graphic novels, and can speak to this diverse student body (we’re adjacent to a port town–Baltimore–so we have a large immigrant population). Can NOC and your readers give me some title suggestions to include? Great article. They say a country can be judged in how it treats its prisoners. I usually include the elderly but overall the litmus test is in the prisons. It’s a good place to envision the future by analyzing what problems can be found there and how society deals with it. The controversy over privately-owned prisons demonstrates how badly the justice system is failing its citizens. Great piece. It’s not enough to want to see more diverse faces pop up in mainstream science-fiction, which often reinforces capitalism/patriarchy/rationalism anyway; we drastically need sci-fi that provides visions of a more equitable and just world. Wonderful article and I am totally with you. I also used my science fiction book to explore the alternatives to the political and judicial systems we are using today. I created the setting and the characters did the rest. Yes, yes, so much yes. So much yes. Over and over I throughout my life I have read a sci-fi or fantasy book and had this striking moment of insight about the society described and the the thought, “This. This is where I want to be, what I want to be.” And as an adult in some ways I am. I can’t live a life unaffected by societal brainwashing, but I can help get my kids a degree (or several) looser from it than I am (my son has already rocketed through Harry Potter and Ender’s Game) and hope that one day the default of constrictive societal rules and expectations won’t be default and figuring out your own path will be. You have summed up a lot of my thoughts on science fiction. I would love to get a copy of this anthology. I think perhaps in reality the road to Utopia can be a rocky one. The history of the 20th century is littered with attempts to create better societies which turned out to be more monstrous than their predecessors. I think you are thinking along the right lines though. Reblogged this on Writing Reconsidered.